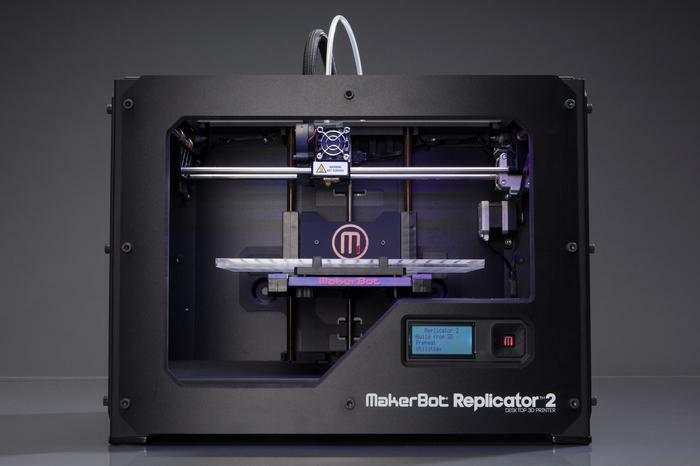 Makerbot's newest Replicator 2 3D printer. The team of scientists from the Illinois Institute of Technology (IIT) and France's National Institute of Applied Sciences found that thermal extrusion and deposition of plastics by a commonly available 3D printer emitted a large amount of very small particles, mostly less than 100 nanometres in diameter. "These small particles can cause inflammation in our respiratory system, or penetrate deep into our lungs and are small enough to enter our bloodstream," lead author from IIT, Brent Stephens, told Techworld. "Once in our bloodstream, they may interact with our cells, or may be deposited in sensitive areas such as bone marrow, lymph nodes, spleen, or heart. They can also access the central nervous system via our brains." "PLA is a safe and non-toxic material, there are no known health safety risks when used in 3D printers," the instructions read. They continue: "When printing with ABS there is a distinctive "burned plastic" smell. This is quite normal but it may also cause headaches, respiratory- and eye irritation with sensitive people (although it is not toxic)." Stephens told Techworld that ABS fumes have been shown to be toxic to rats and mice in a few studies. "There is a good chance that ABS-fed 3D printers may be more harmful than PLA-fed printers due to both higher emissions and likely higher toxicity," he said. The instructions go on to point out that the printer should only be used in a well-ventilated area and "advise" a fume hood is used when printing with ABS. They also say that fume extraction is mandatory for use in offices, classrooms and alike. "The easiest way for most users to continue using their same printers is to operate them under a fume hood or exhaust ventilation system, similar to a commercial kitchen environment or a lab environment," said Stephens. "I'm not aware of any filtration add-ons that have been devised yet to control emissions, but I think it's worth exploring as another solution."